The Wind Symphony features the finest musicians in the Mason High School Band program. 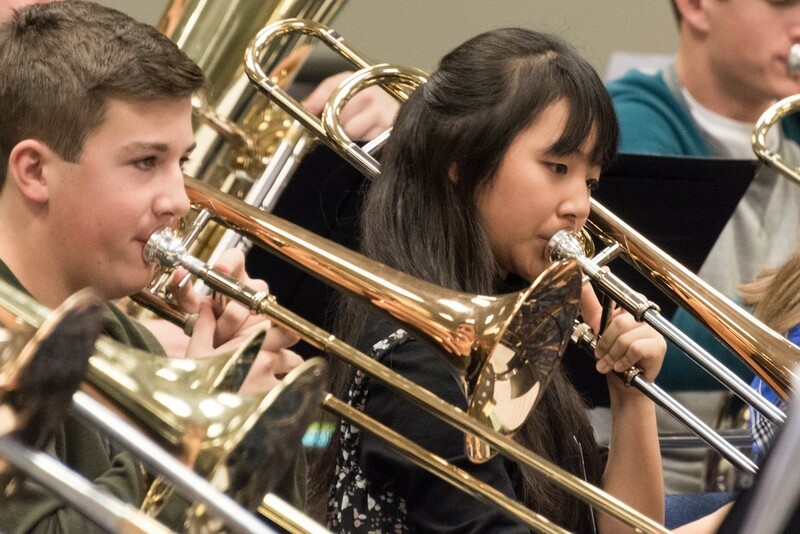 Wind Symphony is a year long course and includes students in grades 9-12 that are selected by audition in the spring of the prior school year. All freshman students selected for Wind Symphony must also participate in Marching Band during their 9th grade year. The Wind Symphony performs the finest wind literature and continues the development of refined, professional skills. Wind Symphony performs four concerts each school year and also participates in outside musical opportunities as they present themselves. 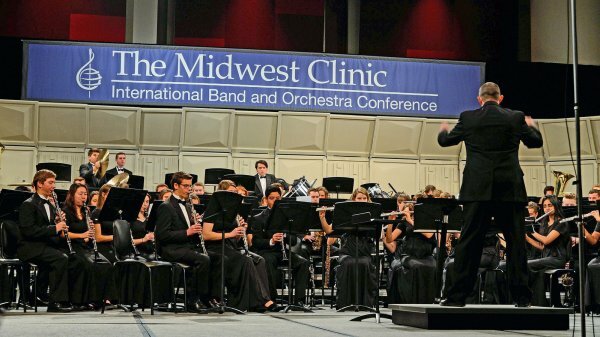 The Wind Symphony has performed at the Midwest International Band and Orchestra Clinic, Carnegie Hall, The National Concert Band Festival, Cincinnati Regional Concert Bands Festival, Ohio Music Education Association State Conventions and at various colleges such as Bowling Green State University, University of Cincinnati, College Conservatory of Music and Northern Kentucky University. Students in 11th and 12th grade receive honors credit for participation in this class. The requirements for the honors credit include a professional concert critique, 10 hours of musical community service and participation in district solo and ensemble and honor band events. All Wind Symphony members are required to study privately on their instrument. Participation fulfils the prerequisite for participation in extra-curricular and co-curricular events such as marching band, jazz band and winter percussion. Students are part of the basketball pep band which requires attendance at two basketball games.